Here’s yet another Disney store exclusive, keeping the gorgeous stylized retro theme that Bonne Bell did so well with Spun Sugar Shine (which is sold separately). It’s a trio set like the Mickey & Friends one, and the tubes are a shiny metallic, which needless to say are super pretty 🙂 I’m really happy BB was so creative with the Minnie’s. Isn’t the color pallet the cutest? The flavors are standard, which is okay with me, because I think this collection was mostly about the cute artwork. Like the Mickey set, you can pick these up at Disney World for $7.95. What’s your favorite new Disney smacker? 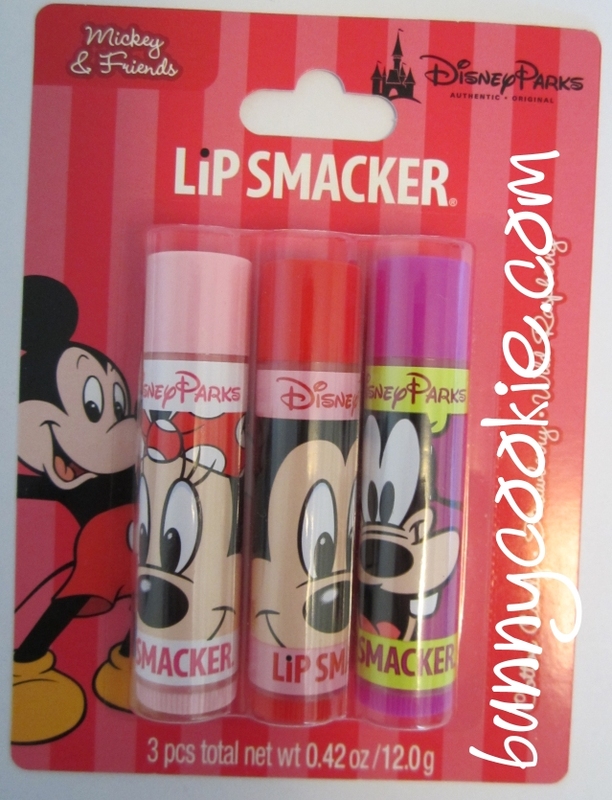 Oh, and there’s still one more Disney store smacker which I’ll post soon! I’m crossing my fingers for Orange Chocolate, Pink Grapefruit, Sour Grapes, Green Apple, and Banana Marshmallow. 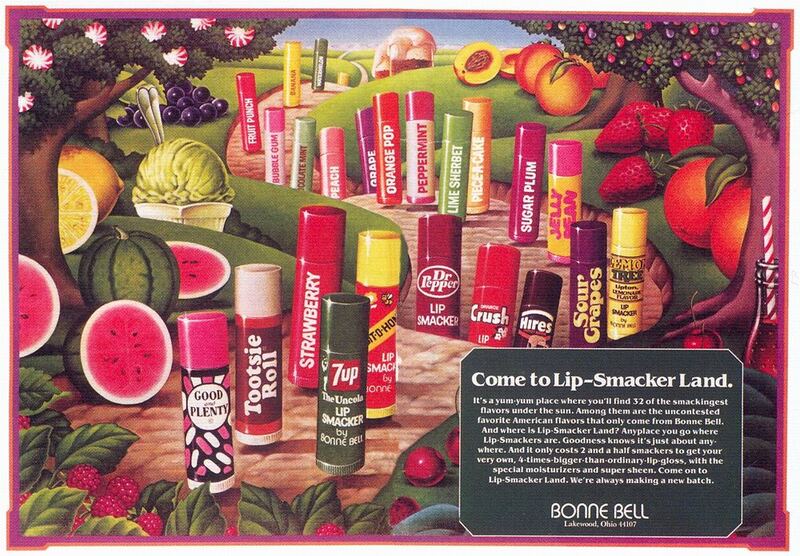 The vintage Lip Smacker flavors were some of the best. What ones are you hoping will make a reappearance? 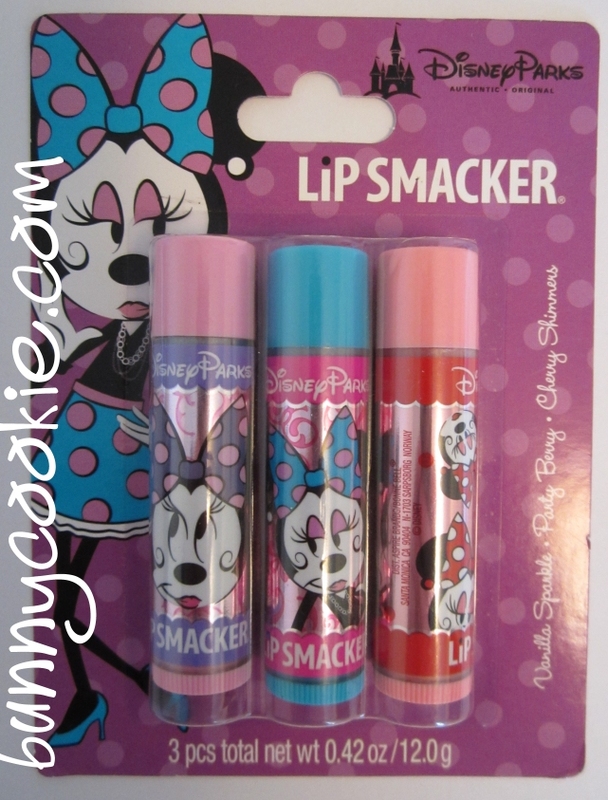 Bonne Bell is spoiling us fans with lots and lots of limited edition Disney store smackers! In addition to Pooh’s Honey Dip Donut & Minnie’s Spun Sugar Shine, BB also made an adorable Mickey & Friends trio 😀 You get a Minnie, Mickey, and Goofy themed smacker. I just love the packaging, they did such a good job. Minnie’s has such pretty colors and I love the purple/yellow on Goofy’s 🙂 They’re all standard flavors, but the amazing pairing between Bonne Bell & Disney makes it a must have for any die-hard smacker collector. The trios retail for $7.95 and I know for sure that you can find them at Disney World in Orlando, FL. There’s also a second trio which is, amazingly enough, even cuter, so stay tuned! This is another cute smacker that BB put out for Disney. Like the Winnie the Pooh smacker, it’s a Disney store exclusive and is available for a limited time. I really like the retro art style, it’s gorgeous! The balm itself is a pale pink with glitter. Spun Sugar Shine seems to be a popular flavor that BB revisits regularly, but I don’t think this variation will be available long… gogogo and get yours! I’ve been seeing it as a single with the other Originals at Walmart and Target, so it seems to be here to stay, but pick it up asap in case! If you’ve already gotten it, what do you think?